A reader familiar with today’s fiction for younger teenagers may well recognise some aspects of his novel. 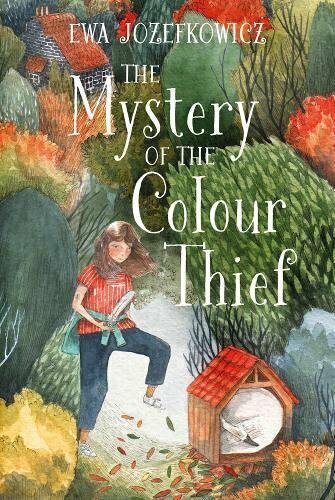 Izzy’s mum is in a coma in hospital following a traffic accident, and Izzy is visited in her dreams by a shadowy figure which appears to be stealing colours from a collage of Izzy’s life which was created by her mum for Izzy’s bedroom wall. Izzy’s best friend at school abandons her for a more fashionable crowd, claiming that Izzy isn’t any fun to be around. Izzy is befriended by Toby, a boy who uses a wheelchair, who has recently moved into her street. Together they take an interest in Spike, a cygnet in a Swan family on the local stream who doesn’t appear to be thriving, another outsider who has to learn how to make his own way in the world. There is a lot going on in this first novel, not to mention Izzy’s leading part in the school play: Lady Macbeth, no less. If the characters and narrative are familiar in many respects, they are adroitly handled; and the impressive aspect of the story is the depiction of Izzy’s disordered state of mind. She is bewildered, frightened and angry and beset by guilt about her mother. She resents help and lashes out when provoked. Yet her good sense and determination, with help from sometimes unexpected places, not only sees her through but enables her to learn from the experience.